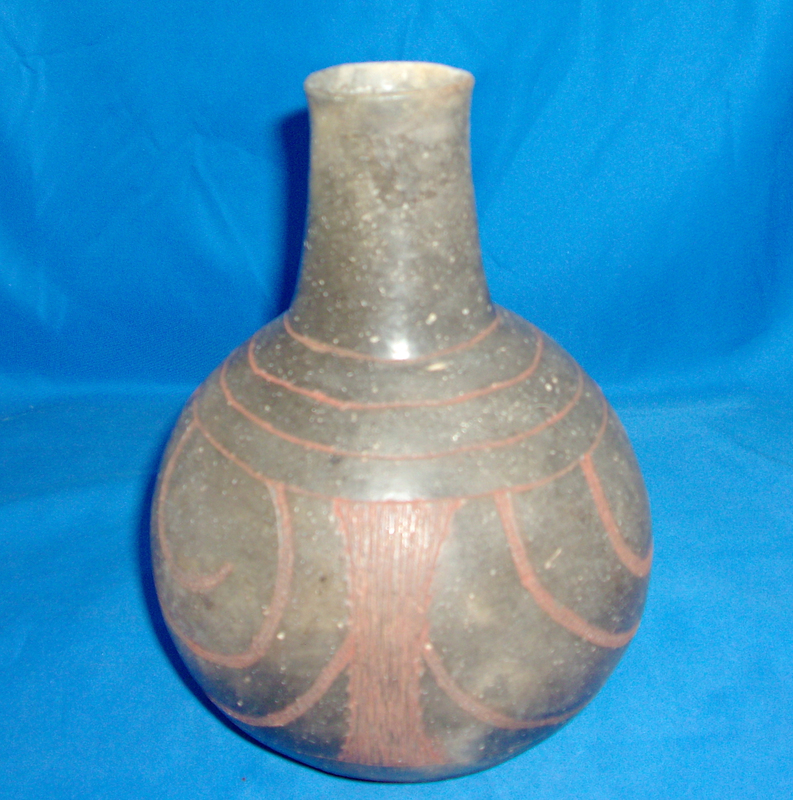 A Large Size, Exceptionally Well Made, Caddo Glassell Waterbottle That Exhibits Surface Sheen And Clay Aging Coloration Patination, Correct Bottom Use Wear, Visible Aged Surface Grog Deterioration, Correct Neck Handle Wear, Correct Style Engraving, Visible Aged Open Pit Firing, Correct Aged Red Ochre Engraving, Correct Type Material & Manufacture For The Area Found. This Is An Outstanding, Best Known To Date Example, Displaying Good Workmanship, In Excellent Condition! Includes A Ken Partain Certificate Of Authenticity!